For those who have never played fiddle. 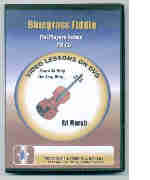 The 8 lessons include tuning, holding the fiddle and bow properly, and 6 complete tunes. Every note explained, every bow stroke explained. No Tab. Includes Cripple Creek, Cotton-Eyed Joe, Sally Goodwin, Old Joe Clark, Boil Them Cabbage, Amazing Grace. (2 hours) New lower price! Use the basics learned in Volume 1 to play 6 familiar songs. Great for jam sessions. Fiddle backup introduced. No Tab. John Hardy, Salty Dog, Foggy Mountain Breakdown, and more. (2 hours) New lower price! 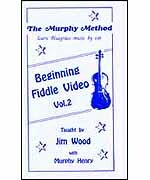 This video teaches a variety of bluegrass fiddle licks and features many of the famous solos you have heard on your favorite bluegrass records. Ed also teaches you how to build your own solos and how to play in the upper positions so that you can sound like the professional players. 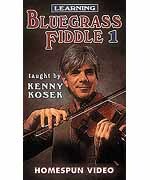 Kenny Kosek shows the proper way to hold the fiddle and bow, and how to tune up and play basic scales. He then moves into slides, open-string drones, bowing patterns, rhythm playing, fills, intros and endings, vibrato and other essential techniques. 65-MINUTE VIDEO INCLUDES MUSIC LEVEL 1. 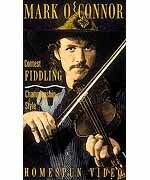 One of the great fiddle players of our time teaches three of his award-winning tunes in note-for-note detail. 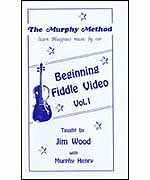 Novices and champion fiddlers alike will learn the fine points of Mark O'Connor's style and technique. 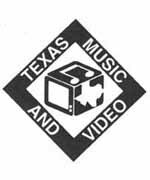 60-MINUTE VIDEO INCLUDES MUSIC LEVEL 3/4. 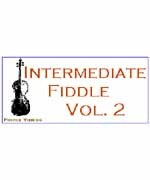 Great Texas fiddle artist Ed Marsh teaches 60 of the best country fiddle licks as heard on today's top-selling recordings. These licks will help make you intros, solos, and fills sound like the great nashville artists of today. 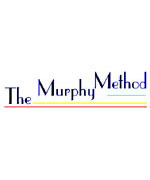 Introduces the key of D with 6 well-known tunes. More complex bowing. Still explained note-by-note, bow-stoke-by-bow-stroke. No Tab. Includes Arkansas Traveller, 8th of January, Liberty, Faded Love, Soldier's Joy, Tennessee Waltz. (2 hours) New lower price! Expand your repertoire with these harder tunes in the key of G. No Tab. Turkey in the Straw, Golden Slippers, Westphalia Waltz, Sail Away Ladies, Leather Britches. (2 hours) New lower price! Advanced versions of 5 great tunes in the key of A. No Tab. 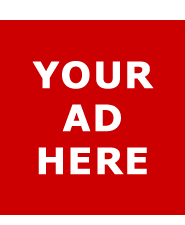 IncludesOld Joe Clark, Sally Goodwin, Maiden's Prayer, Salt Creek, Bill Cheatum. (2 hours) New lower price!